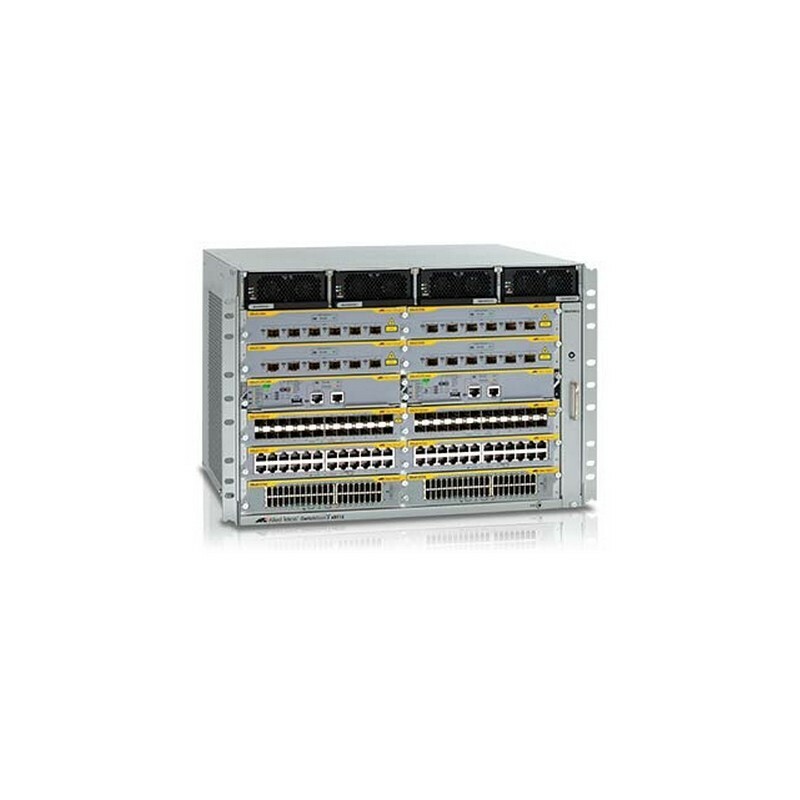 The Allied Telesis SwitchBlade x8100 Series with AT-SBx81CFC400 control cards deliver high availability, wirespeed performance, and a high port count. Allied Telesis advanced features make it the ideal solution for the modern enterprise network where resiliency, reliability and high performance are the key requirements. Dual CFC400 control cards provide 80Gbps of non-blocking throughput to each line card slot, providing maximum performance and wirespeed delivery of critical IPv4 and IPv6 traffic. 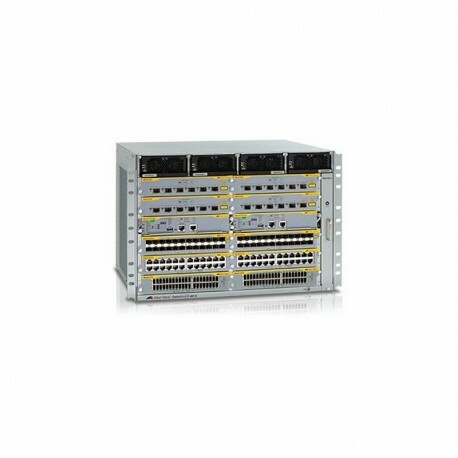 The SwitchBlade x8100 Series provides a high-performing scalable solution, with an extensive range of Gigabit and 10 Gigabit connectivity options in 6 and 12 slot models. Power over Ethernet (PoE+) allows the SwitchBlade x8100 to support high power applications such as video surveillance and wireless networking. Highly resilient design includes dual controllers, dual PSUs, and dual redundant passive backplane paths. Active-Active switching fabric utilizes all available system bandwidth all of the time. All system components are hot-swappable, so the SwitchBlade x8100 with CFC400 ensures online resources and applications are always available. The SwitchBlade x8100 Series is incredibly eco-friendly, utilizing high-efficiency power supplies and low-power chip sets. Easily the most power efficient chassis in its class, the SwitchBlade x8100 Series features lower cost of ownership — and is better for the planet, too.